In this post we would like to speak to our potential investors. Also, we would like to talk about the benefits of investing on our platform. At InoCoin, we realise that our whole project wouldn’t be possible without our driving force – our investors. Exactly because of that, we would, firstly, like to thank everyone that holds INO and those of you who use your INO to fund projects on our platform. Thank you for making someone’s dreams come true and for being the early adopters of our crowdfunding platform. Our project is still in it’s early phase, so we also welcome any feedback to both our platform and the projects listed on it. Also, don’t forget to join our social media channels as we would love to hear from you. So, having said that, let’s get started with reasons why should you become an investor on our platform and what that gives you. Being an investor on our InoCoin Platform, you support projects that apply for funding through it. You are the driving force behind someone’s ideas. Without you, someone’s dreams will stay just that, only dreams. But with your support, smart, innovative projects get the funding they deserve and grow alongside you. Think of our projects as plants, they need water(in this case funding) to survive and grow into beatufil plants, while giving you the fruits. The fruits of these „plants“ are our next point – incentives for our investors. Each project listed on our platform provides incentives for the hard-working investors that support them. They may be some kind of product related to the project or services if that’s what the project is focused on. Whatever it is, young projects are greatuful for your support and want to reward you for it. 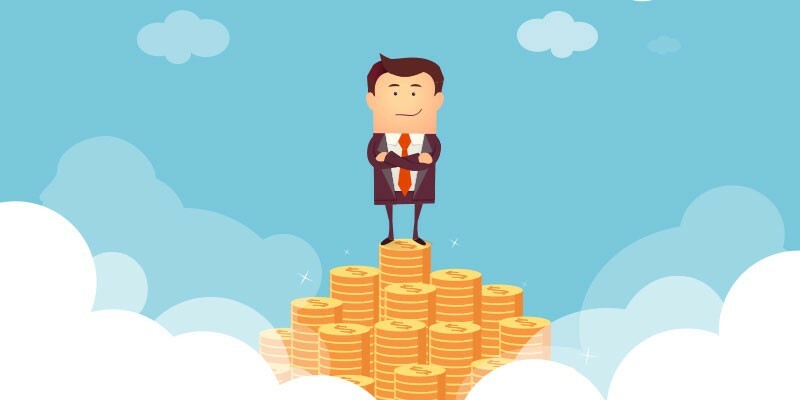 You deserve those rewards, so go to our Ino Projects page and check out all the great products and services waiting for you if you invest in out projects. Also, by investing in young projects, you become not only their investors, but part of their community. You become their friend and their first customer. Projects are much more likely to listen to your feedback, so you also get the perfect product or service. You, as an investor, literally shape the future of each and every project on our platform. You decide whether they succeed or fail. You have a very important role in our community, so please choose wisely and do your research. For more on research you can check out our previous articles. Another added benefit is that you „have to“ meet our token – INO which is doing fantastic currently. By getting to know our token, you can also decide whether to hold it as an investment. Objectively, we have been doing great and so has our token. We recorded around a 250% price growth in the last three months alone. Also, don’t forget that this spectacular performance was in a severe bear market where all cryptocurrencies were in the red. Well obviously not all of them. The above mentioned is not meant to be investment advice, but purely stating the facts about our project and token. Please, like with our projects, do your own research and choose what to invest in. We are not responsible for any losses. So from everyone here at InoCoin, once again, we are very grateful for having such great investors and we welcome new investors with open arms. Our projects are waiting for you. Come make someone’s dream a reality and receive wonderful products and services. Untill next time, stay busy and continue working hard, we know we will. Stay tuned for updates.